Budapest is a city so wrought with a painful history, it's easy to see how they could just brush it away in a corner and try to forget it. In fact, it's what a lot of cities and countries do. Instead, there are museums, like the House of Terror which take that pain and put it out there for the world to see. Needless to say, I was mesmerized by this city and all it had to offer, and came away much more humbled than when I first entered. In order to fully appreciate this city, you have to understand it's history. Budapest is the union of two cities - Buda to the west of the Danube, and Pest, to the east of the Danube. I'll focus on the recent history here, although there is a ton to be learned pre-World Wars. Budapest seems to be the forgotten child of divorce between the short Nazi Rule and then the Soviet reign in the city. During World War II, the Nazis invaded Budapest and briefly took control of the city. The Soviets "came to their rescue," fighting off the Nazis, but did not cede control back to the Hungarians. Instead, they held power over Budapest, and a lot of Hungary, and for a long time. I won't spoil it all for you, as you will learn much of it in Budapest, and I might be getting some of this wrong, but please understand the general idea that Hungarians didn't rule Hungary for a long time, and it wasn't pretty. There was also a lot that happened during the World War I. I'm not a history buff. This is really an amazing place, although it's not for the faint-hearted. Jordan and I spent close to three hours here, so give yourself plenty of time. I would suggest doing some reading on their website, even, before you go. We had no idea some of the things that happened in Hungary, and this museum was literally the brain center for where a lot of it happened. To give you a taste of what this museum is like, the visit starts with an elevator ride to the top floor. The elevator is glass, so you can see all the walls surrounding it, and the walls are covered with photos of (what seems like) the thousands of people that died in that very building. It's an intriguing, and solemn start to the visit. Our first night, we arrived late and decided to take it easy. We walked around the city a bit and when we were hungry, thought we would grab a bite to eat at a little cafe or something along those lines. We had four nights in Budapest, we would do research on great places to eat tomorrow. We turned out of the Marriott, walked maybe a few blocks and found, what appeared to be a French restaurant, Comme Chez Soi. Little did we know that this was one of the best restaurants in Budapest (and the food was definitely Hungarian, thank god). The chef came out and greeted us, and he even ridiculed the table next to us for not finishing their plates! We thought it was funny until our food came out and my plate was half the size of the table. We started to worry how we were going to finish our own meals and what treatment we would get from the chef...? We ate as much as we could, and then a little more - a satisfactory amount for the chef, apparently! At the time of our visit in 2016, they only took cash, so I had to run back to our hotel, while my husband Jordan, sat at the table and waited for me. Luckily, the restaurant had a tourist book about Budapest (in Hungarian) for him to flip through (and were willing to give him back to me once we paid). Long story short: if you are in Budapest, go to Comme Chez Soi for dinner, bring cash to pay, prepare to leave very full. I kid you not, these are the real deal. This isn't just a bunch of water they dumped into a pool and are charging you money to swim in (which, after 14 days of traveling, I would seriously consider), Budapest has real thermal baths, which makes them high in calcium, magnesium and hydrogen carbonate and all that good stuff. Jordan and I visited two different ones, one per day. We chose to go to Gellert and the Rudas Baths, mostly because they allowed men and women to swim together in most of their pools. What took us a while to figure out, and I stress to you, this is the most important part of your healing journey in these baths, is that you are supposed to go from coldest to hottest. Got that? Coldest to hottest. There are even little placards next to the pools telling you the temperature of them and how long you should remain in that pool before moving on to the next one. Unfortunately, photography was not allowed inside the baths, so I cannot show you an example... just trust me on this. Coldest to hottest. And try the really cold plunge pool once if you can bear it, it's an experience. This building is incredible, both inside and out. 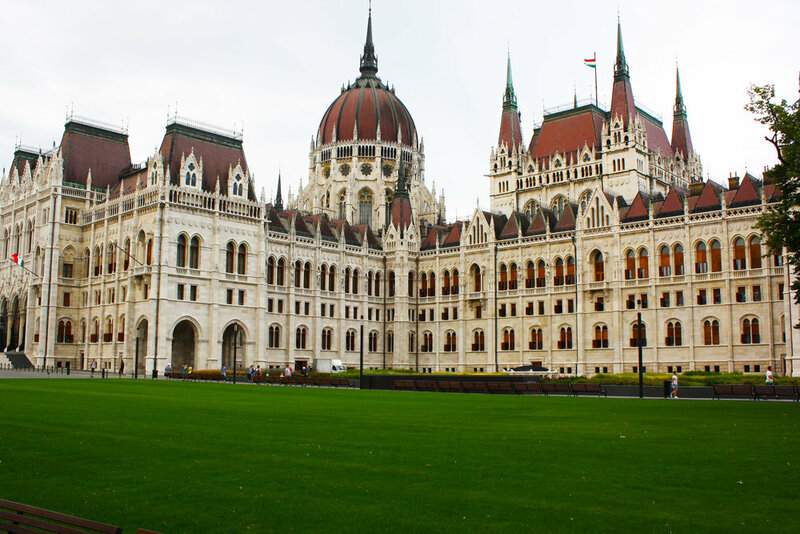 You can easily spot the Parliament if you are walking or taking a cruise along the Danube. If you arrive to the building early in the morning, you can purchase tickets for a specified time of entrance and tour, not too long after. We enjoyed walking around the area in that time in between; it's very scenic and serene, different from the other parts of town. Something to note, if you want to take pictures, you will have to pay a tiny bit extra for that. It is a very ornate building and worth taking the tour to see the inside and learning a bit about the history! This was one of my favorite things that we did in Budapest. It was a hike up there, but the Liberty Statue looks over the city from Gellert Hill (we may or may not have just come from the Gellert Spa). The statue itself is incredible, and being up there gives you beautiful views of the city. The Liberty Statue was first erected as a monument of the Soviets freeing Hungary from the Nazi occupation. The original inscription on the statue read: "To the memory of the liberating Soviet heroes [erected by] the grateful Hungarian people 1945." 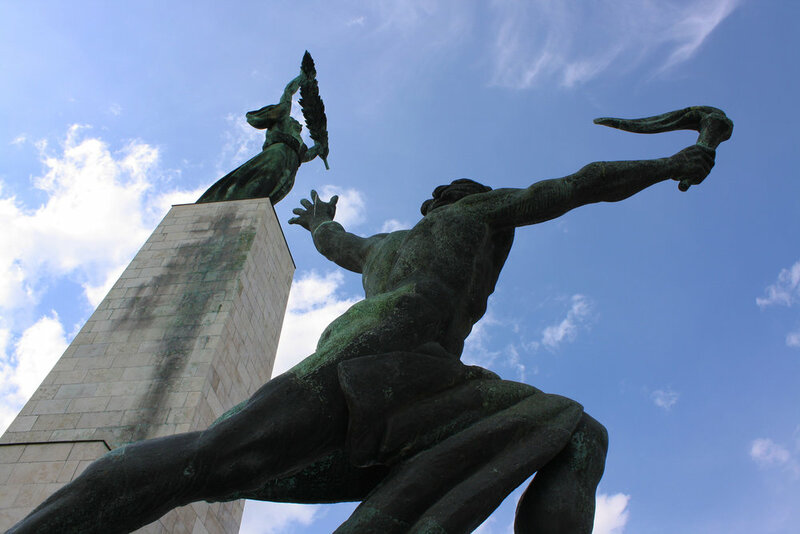 Over time, when sentiment towards the Soviets declined, people damaged the statue, especially that plaque, and in 1989, when Hungarian Democracy took over, a new inscription was placed, reading: "To the memory of those all who sacrificed their lives for the independence, freedom, and prosperity of Hungary." 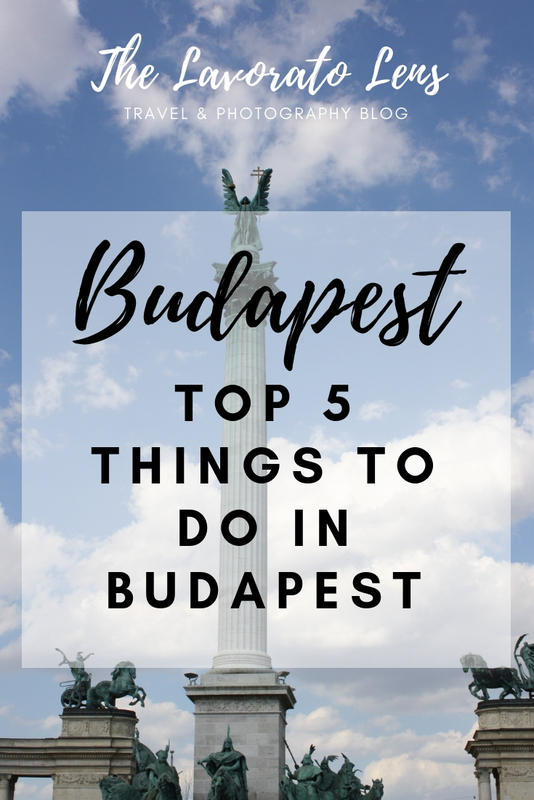 Budapest is a wonderful city, full of museums, restaurants, bar crawls (see: ruin bars), and many, many other great things to do. Comment with what your favorite things to do were!